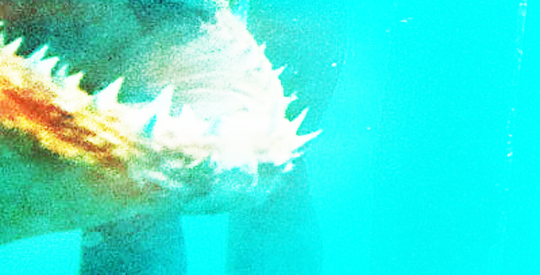 This is a small section of the shark’s mouth. I’ve raised the brightness and contrast levels to make it a lot brighter. View the full photo after the jump.